I agree that the chips might have caused the haziness. The clear is amazing. Have you thought about running all but the blue in polish again to see if they get a better shine without the blue? 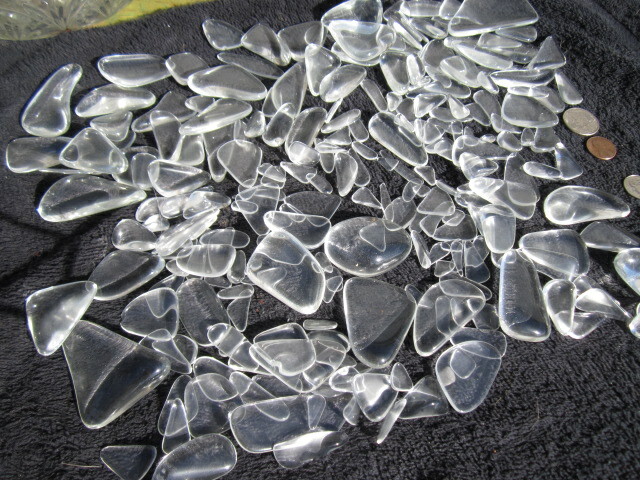 I started my third batch of theater lighting glass today. 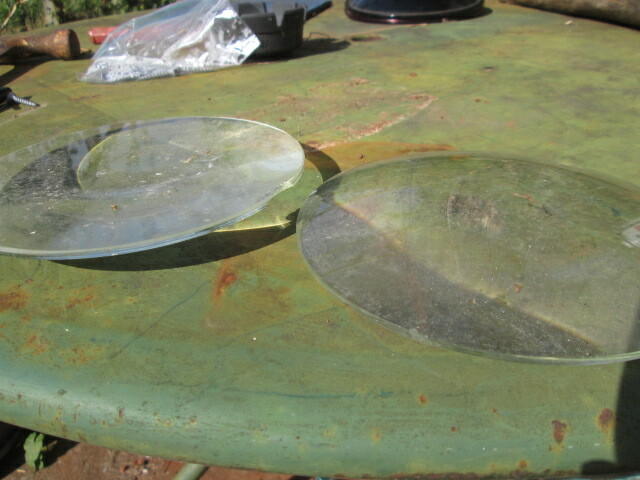 These lighting lenses are much thicker than the glass that I had been tumbling before. Clear and smooth. Flat on one side, curved on the otherside. The lenses were placed into a Freezer Bag and pounded with a chisel to make the squarest chunks possible then loaded it all into both barrels of my QT66 tumbler for at least a week rolling in 30 grit with slurry starter. This last glass has been tumbling since the last post made 3 months ago on October 31st. It came out finished a coupla days ago after a 5 step tumble process. 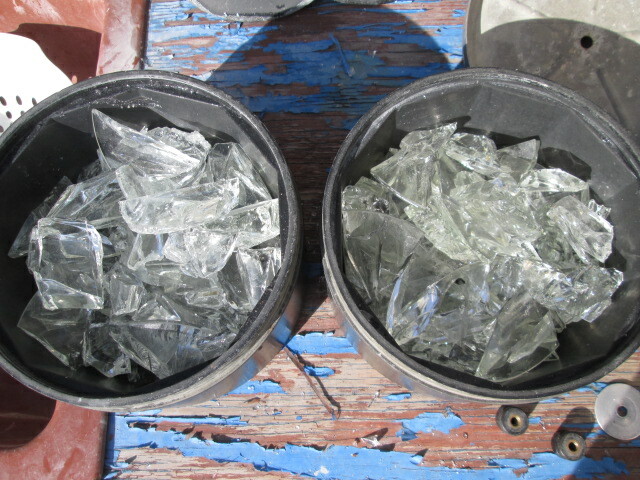 Some glass was added to take up space during the first two steps. It came from a glass casserole dish that I accidentally broke while this stuff was rolling. Was using Aluminum Oxide AO polish for the first time. I think it works better than Cerium Oxide CO polish that I had been using on glass. 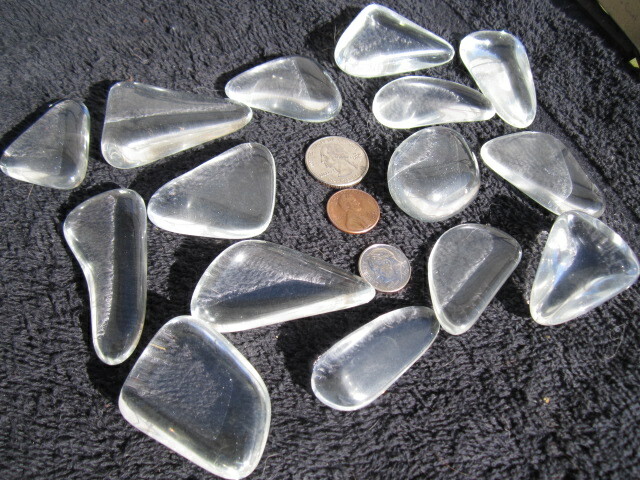 Amazing crystal finish on this batch that looks a little hazy in this photo made under full Sun. A closer look at the biggest pieces.